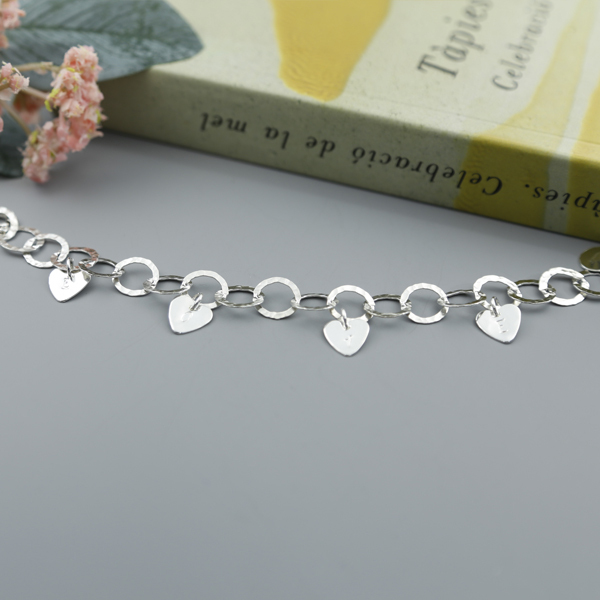 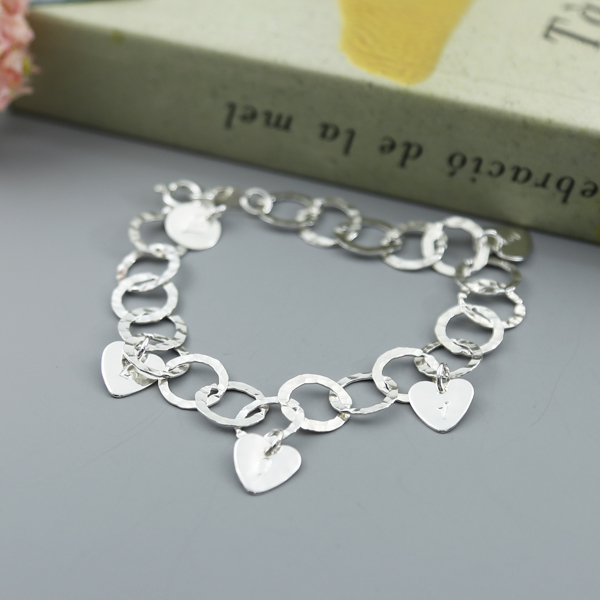 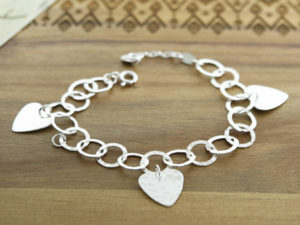 Six sterling silver hearts charms, attached to a contemporary hammered round link bracelet, with a tiny heart on the extender chain. 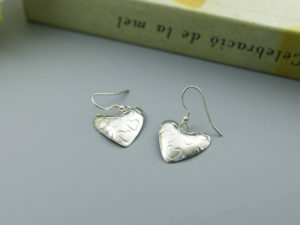 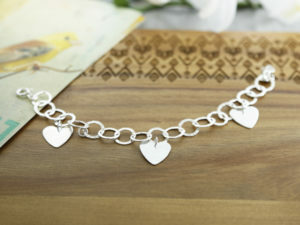 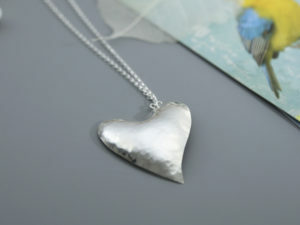 We can add a personalised message on silver hearts for up to six characters. 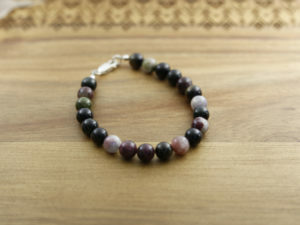 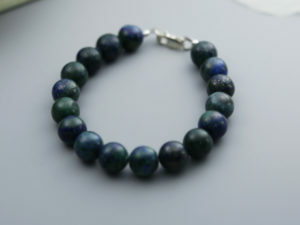 A choice of 5 Semi-Prescious Gemstones.